In addition to our youth camps, Wesleyan Woods offers several different retreats/rallies throughout the camping season. Strong Family RV Rally is fast becoming a popular weekend and our Hunter’s Retreat held in the fall is another popular weekend. New for 2019 Wesleyan Woods is hosting Family Camp July 12-21. These are just a few of the many opportunities we have to bring people closer to God and each other. Imagine a weekend full of fun, relaxation, and trying new things all while learning how to strengthen your family. The core goal of Strong Family RV Rally is to equip families with practical tools they can use in everyday life through fun, worship, and teaching. Saturday- 9 am – Starts family fun, adventure activities, and evening concerts. Cost: Weekend special – $50 per family (includes camping site for 2 nights, rallies, & activities.) Call the office to make reservations or for more information. You work hard day in and day out; treat yourself and your family to a 5 day get-away! Because a week of fun should also have great value, and leave a smile on your face! Everything Included! High Ropes, Zip Lines, Water Slide, Rock Wall, Cargo Net, and much, much more! Everything we offer on the weekends is being offered during the afternoon on these 5 week days. Fireworks are planned for Friday night July 5. Our trained staff will be here all week running our high adventure activities. Create great memories of fun and excitement with the whole family. So come and join us for this 5 Day Weekend and experience Wesleyan Woods Campground like never before! We have a limited number of sites available so call today and reserve your site for your well-deserved 5 Day Weekend! Reserve Now! Come September, some start thinking of hunting. Here at Wesleyan Woods we have a retreat just for the hunter. It’s a time to spend with family and others that enjoy the outdoors while also relaxing. The retreat offers friendly competitions in archery, fishing and marksmanship. Please bring your own equipment (archery, shells, bullets, shotguns, muzzle-loaders, handguns and fishing poles) as none will be provided. For those participating in any of the firearm competitions remember to have hearing and eye protection with you. NO Crossbows are to be used on the 3-D targets!! A Crossbow tower shoot will be available. 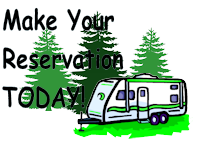 Cost: RV/tent site: $60 per adult / $45 for ages 10-16. Price includes 6 meals, camp site for two nights and all shoots and sessions. Enjoy stories, door prizes and competition awards.